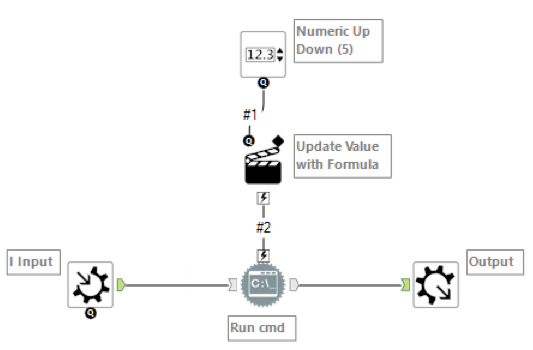 A couple of times we have run into clients that are asking ”Can you wait X seconds between processing each row in Alteryx”. Now the answer is yes. Say for example that you are contacting an API with multiple request. However, the API starts acting strange when you hammer it with requests. I also used it to scrape the Alteryx community (See Insights to the Alteryx Community) in order to make sure that I did not put any heavy loads on their server. Here is a short presentation of the tool. As you can see, the part of the flow that runs through the WaitASecond tool gets a NOW timestamps which are 5 seconds a part, whereas the bottom stream, not running through the WaitASecond tool, all gets the same timestamp. The first one assigns a unique id to each record and then uses that ID for the batch macro. The batch macro has a “Command tool” that runs a ping that waits x seconds before it timeout (199.199.199.199 if that exist in your network it won’t work). The macro can be downloaded here(InvisoMacros.zip).